I made the following quote but thought it would be interesting to talk about what made me make it. I was sitting on the loo and thinking to myself “I could be popular right now, I could be like Ryan Shanahan, I could be raking in the money!“, “I could have a million views on my youtube” but them I was like “neah, that would be selling myself out, I like who I am, I’m me“. There was once a time when I gave in to pretending who I thought people wanted me to be, I wanted to please people, to be liked, but it didn’t last long, as it felt empty, it felt zombie-like, I went the opposite way, I do what I want, what makes me feel good, write how I want to write, talk how I want to talk*, live how I want to live, and who ever does not like it can just live with it or leave. There you have it, this is how the quote “I could be popular right now! Instead, I choose to be ME” came to life. I searched google and guess what!? 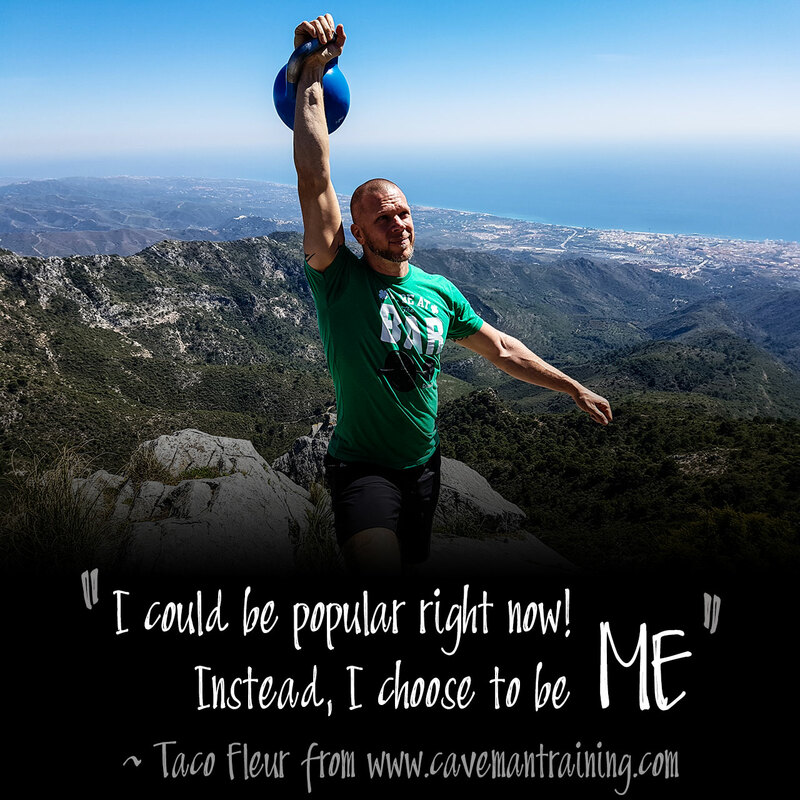 You heard it here first on Cavemantraining!. Subscribe so you don’t miss out on more awesome health & fitness stuff as our team releases it. *yes I say some curse words sometimes, but nothing like Dana White or Gordon Ramsay, I think if we’d make a comparison chart, it would be [Taco 0.1%] [Dana 60%] [Gordon 39.9] – it just makes the point much clearer, and also makes me feel a bit better sometimes. So live with it.